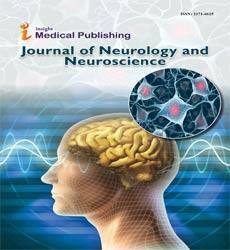 Objective: This study compares biomarkers of oxidative stress and neurological in patients of Alzheimer's disease (AD) and Diabetes Mellitus (DM) to evaluate mechanisms of oxidative stress and inflammation in the pathogenesis of AD. Methods: Serum concentrations of 3-nitrotyrosine, Isoprostane, Protein Carbonyl, Malondialdehyde, Nitric Oxide, Asymmetrical Dimethyl-L-Arginine, Glutathione, and Homocysteine (as oxidative stress markers); adiponectin, fetuin A, insulin, soluble receptor of advanced glycation end products (sRAGE), IGF-I and Amylin (Insulin Resistance (IR) markers), serum amyloidβ (Aβ) and S100B protein (as neurological markers) were measured in controls, Type 2DM with or without AD, patients with AD with or without DM. Results: Even though levels of Aβ-40 was significantly higher in DM -OAD+ AD patients than DM-OAD patients (p<0.001) in AD-CEI and AD-CEI+DM groups no significant difference was observed; suggesting that higher Aβ-40 levels can be used in diagnosing the diabetes-related Alzhimer’s disease. S100B, on the other hand, was higher significantly in all AD groups (AD, AD-CEI, AD+DM-OAD) compared to Control and to solely DM group without AD (p<0.001 for control and DM respectively) which suggest that S100B can be used as a neurological biomarker independent from DM and can be used in monitoring the progression of AD. Also fetuin-A can be used in monitoring the progression and adiponectin for determining the onset of AD. Conclusions: By regulating the glycemia and IR, oxidative stress can be controlled and development of Alzheimer's disease in diabetic patients can be slowed down.